J.D wanted to know how he can avoided the typical flaws in a swing that most high-school baseball players have to deal with throughout a season while having to play under a coach who isn’t doing a good job of providing the right kind of feedback that guides him to make the right adjustments that are needed. There is nothing worse than a bad baseball coach who isn’t in it for the right reasons. Don’t worry J.D. I gotcha covered! In this AoB T.V episode I’ll share with you two MAJOR ideas that will help change your mind-set so that after dealing with challenges at the plate, the only person you’ll ever need to depend on for hitting advice is yourself. Of course it’s always helpful to receive advice from those that can help you but if they’re not there you’ll have the tools and resources to get the job done on your own terms! Don’t forget to share the love by hitting the LIKE button and tell me how your baseball season is going in the comment section below. Was this video helpful to you? 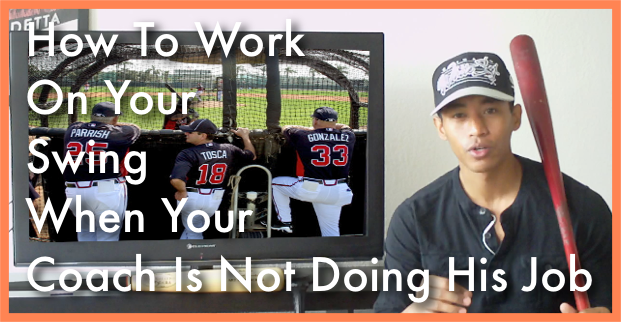 If you’re looking for a specific kind of baseball related video tip let me know in the comment box down below. If you found this video helpful please feel free to hit the LIKE button so I know I’m on the right track.